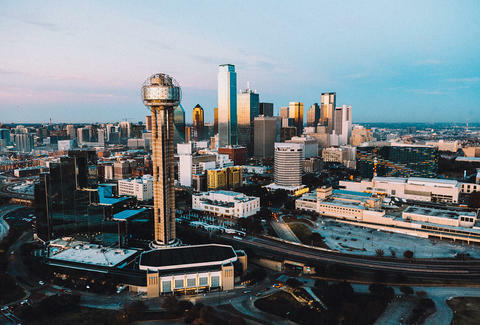 Dallas is blessed with a rich cultural heritage, from the thriving Arts District, to the galleries and rock clubs of Deep Ellum, to Oak Cliff’s revived Kessler Theater. But the areas outside the city limits are rich with opportunities for creativity, adventure, and exploration, too. We’ve rounded up eight cultural destinations near Dallas (including a couple right in the city) that are worth a trip, from a museum dedicated to soda to a divey music lounge frequented by Leon Bridges. Because as Dallas experiences record-level population growth, sometimes you just feel like getting out of town. For anyone under the age of 40, the drive-in movie theater is likely seen as a dying relic of the 20th century. But Coyote Drive-In has not only managed to keep the tradition alive, it has modernized it. Located on the banks of the Trinity River and in the shadow of the downtown Fort Worth skyline, Coyote features a wide selection of current movies as well as cult favorites. The bar, which serves craft beer from Fort Worth-based breweries such as Panther Island, Rahr, and Martin House, is a popular destination year round. Moviegoers can opt to watch the film from the comfort of their car, on one of the benches in the canteen/bar area, or bring their own beach chairs and blankets to enjoy the entertainment al fresco. The theater often features weekly date-night movie specials, when they show classic romantic comedies and tear jerkers, like a You’ve Got Mail/The Notebook double feature. Its 12-person company performs a mixed repertory of modern, jazz, ethnic, and spiritual works by choreographers such as Alvin Ailey and Twyla Tharpe at various venues around the city and state. (They also tour nationally and internationally.) Catch DBDT next in their season highlights show, Dancing Beyond Borders -- which includes an encore performance of Displaced, Yet Rebirthed, honoring the 13th anniversary of Hurricane Katrina through movement, poetry, and a New Orleans-style brass band -- on March 2 (in Richardson) and March 10 (Fort Worth). Long before Chip and Joanna Gaines of HGTV’s Fixer Upper made Waco a tourist destination, there was this shrine to the official soda of Texas. Housed in a 1906 bottling plant, this museum -- which is not affiliated with the brand’s owner, Dr Pepper Snapple Group -- is a testament to the loyalty that Texans feel for the soda. It’s this outsider status that allows the museum to feel more like a loving tribute to the beverage instead of a corporate-run marketing gimmick. The museum is also home to The Liquid Laboratory, which includes courses on everything from how to cook with Dr Pepper to learning about the 23 flavors that make up its secret formula. If you learn nothing else here, knowing that Dr Pepper can be a key ingredient in a killer pulled pork recipe is worth the price of admission. Cabin fever got you down? We feel you. 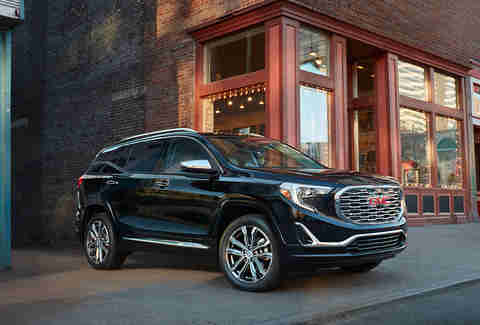 When it’s time to get off the couch and hit the road for a little cultural adventure, the all-new GMC Terrain, with its compact size, is ready to take you wherever your weekend goes. A historical take on girl power and the enormous contribution that women made in establishing Fort Worth as the so-called “gateway to the West,” the Hall of Fame currently pays tribute to over 200 honorees. 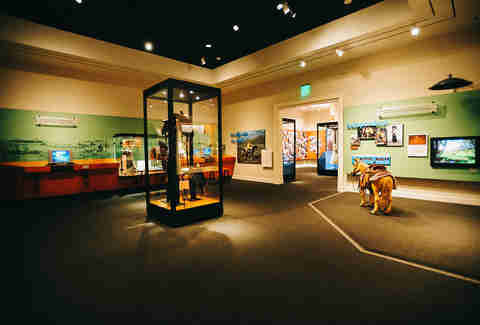 Members include pioneers, artists, businesswomen, educators, ranchers, and rodeo cowgirls -- names including Georgia O'Keeffe, Sacagawea, Annie Oakley, Dale Evans, Enid Justin, Temple Grandin, and Sandra Day O’Connor. It’s not unusual to see Leon Bridges drop by for a jam session at Keys Lounge, the most authentic dive/blues bar in the Metroplex. Located in an unassuming strip mall in the southernmost portion of Fort Worth, you’d be forgiven for being apprehensive or missing the venue altogether. But since it opened in the 1970s, Keys Lounge has been known for being run by -- and home to -- those who truly love music, particularly blues and jazz. The clientele is equal parts gray-haired blues aficionados and young, music-loving hipsters. Weeknights usually feature a blues or jazz jam and a happy hour, which draws a diverse crowd; on weekends, the bar fills with enthusiastic partygoers ready to check out the musicians and cram onto the large dance floor. Bridging the gap between Fair Park and Deep Ellum, Exposition Park is home to this alternative theater, the brainchild of playwright Matthew Posey, whose eccentric and intimate shows blur the line between the absurd and the hilarious. The 50-seat space uses that intense intimacy to its advantage; the creativity of those involved in Ochre House manages to make productions seem grand and robust even though they’re staged on a shoestring budget. In addition to showcasing avant garde theater, the productions’ accompanying music is equally intriguing, often utilizing local experimental musicians such as brothers Stefan and Aaron Gonzalez. 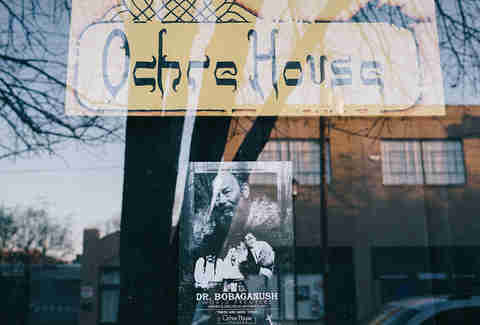 Overall, an evening at Ochre House offers theatergoers an entirely unique, pleasantly challenging, and culturally rewarding experience courtesy of Posey’s beautiful lunacy. 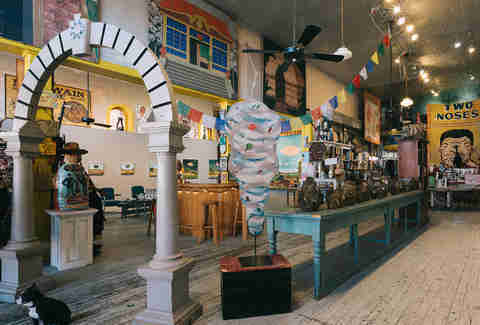 Located 30 miles south of Dallas, just off the historic Waxahachie town square, is Webb Gallery, established in 1987 as a place to house the eccentric folk-art collection of Bruce Webb and his wife, Julie. It has evolved into a museum of curiosities, pieces by self-taught artists, objects from old fraternal lodges, and carnival memorabilia that the Webbs have collected in their journeys across Texas, the Deep South, and the Midwest. All the unusual items are housed in a 10,000 square-foot, cast-iron-front building -- and new stuff is added every week. Art-show openings at Webb Gallery are never a stuffy affair; the events usually feature not only an appearance by the artist, but live music and libations from local breweries, too. The gallery also features a library housing some of the Webbs’ favorite books, which helped inspire them to showcase outsider art, should you be looking for a little light reading. As the location of University of North Texas’ stellar music and arts programs, Denton has a reputation as a hotbed for creativity, and Dan’s Silver Leaf is sort of the Cheers of its cultural scene. Part music venue, part hangout for local artists, the roadhouse-like bar and its spacious back patio have served as the setting for everything from chili cook-offs to political rallies (in addition to a regular lineup of shows) since opening in 2002. The club’s iconic marquee (topped with a giant silver leaf) and turquoise walls serve as a siren song for art students who are new to town as well as local creative types who call Dan’s their home away from home. This mix of old and young also makes it an ideal environment for legendary Denton events such as the Rock Lottery, which creates impromptu bands of randomly selected musicians to perform live, with proceeds going to groups like a community-run radio station and homeless charities. The Lottery, first held at the now-shuttered Argo, has been hosted at Dan’s in recent years, and celebrated its 20-year anniversary in 2017.